Just then, with a whipping, ripping sound, a gust of wind peeled my tent’s rain-fly back. Atomized rain blasted through the tent’s side, visible like ocean spray in my flashlight’s beam. The wind roared. “A train,” I thought. “That’s funny, I can’t think of a track near here. As soon as it passes, I’m going to tell Jane I think we should go to the car.” I called to mind the map from the Gazeteer: no trains. Unbelievably, the wind grew even stronger. Tree branches popped like gunfire. The windward side of my tent suddenly reversed like a beach ball kicked in by a bully. I huddled in the soaking spray with the nylon plastered around me, my body wrapped around Fred, who was struggling to get to the door. “Jane!” I yelled. “The car! Let’s go to the car!” I didn’t hear any response. “Jane! The car!” I heard something muffled from her direction. “THE CAR!” I yelled as loud as I could. We were no more than a few yards from each other, yelling at the top of our lungs, yet could not hear each other. Then the beep of the van door unlocking pierced the wind’s roar. I let go of Fred, unzipped my tent door, and discovered the rain-fly tangled there, blocking our exit. I clawed through it, pushed Fred out, and struggled after—stopping to grab my clothes bag, realizing everything I had would be soaked if left behind. Jane was waiting in the van with the side door open. She fished Fred inside. I tumbled in after. “I’ve been yelling, the van! THE VAN!” she said. I had been yelling “the CAR.” While the woods came down around us, we had been arguing over terminology. We checked the clock in the dash—just 10:00 p.m. Through the van’s windows flashes of lightning showed trees like ghastly x-rays of human bones, arms waving. Fred wedged himself under the rear bench seat and gave up for the night. “Where would we go? I doubt there’s a motel anywhere around here with a vacant room at this point.” I replied. In the silence that followed I imagine we both considered what leaving would mean: nosing the van down off the ridge, roaming the flood-prone countryside in wind and rain. Was it worth exchanging this passive fear for active terror? We stayed put. The storm never abated until around 4:00 that morning. At 5:00 light returned to the sky, and we exited the van to see what God hath wrought. Limbs as thick as thighs tangled on the ground all around us. Whole trees lay toppled, their root balls exposed. Perhaps a third of the old woodlot’s canopy had come down. Two other groups of campers wandered about, dazed survivors. A young couple approached us. “A tree came down on our tent,” the woman said. Luckily they had just retreated to their station wagon. Together we approached a group of motorcyclists. How had they passed the night, without a vehicle for shelter? Why I don’t know, but Jane and I set about preparing breakfast, pretending this was no different from any camping morning. Ordinarily we would be discussing where to hike next, but instead, after breakfast, without a word to each other, we began packing up the gear. The owner of the campground passed on his riding tractor, a chainsaw on the passenger’s seat. He avoided eye contact with us. As we drove down off the ridge, we found a huge tree had blocked the way—the owner had just rolled the center cut aside. If we had tried to leave the night before, we would have found our way blocked. On our way back to Madison Jane and I stopped for lunch. We had little to say to each other. Neither of us had slept for two nights. The air was STILL heavy with humidity and heat, the weather as oppressive as the reality we weren’t discussing—that we had been stupidly, needlessly stubborn, to our own peril. Later, as the news reports came in, we learned that there had been escapes narrower than ours in the woods that weekend. A group of boy scouts were stranded when their riverside campsite became an island surrounded by the rising Kickapoo. A woman’s back was broken when a tree fell on her tent—her husband and four-year-old son had to wait for dawn to get help. The winds, while never cyclonic, had peaked at a straight-line velocity of over 90 miles per hour. Sixty will topple a tree. Seventy will drop a semi on its side. Over time Jane and I processed the event, adding it to the mythology of our camping history, grumbling about the badly-maintained woodlot on that ridge—so much dead wood just waiting to come down!—and the evil property owner, who did nothing to warn us about the severe weather forecast. We began checking the weather forecast more carefully before setting out. We bought a weather radio. We continue to camp in rain—always rain—but now we take shelter without waiting for the sound of a nonexistent train. We have developed ALMOST as much sense as a three-year-old fox terrier. This entry was posted in Sarah's memoir and tagged camping, weather. Bookmark the permalink. I really liked this story, which reminded me of the many times I have camped in a tent in all kinds of environments. One particular time comes to mind – when my three children, a male friend and i went to sleep in our one tent, only to awaken to a pelting rain, which had invaded the inside of our tent, forcing us to spend the rest of the night, our shivering bodies huddled together in one “dryish” corner, awaiting the dawn! But my love for tent camping remained strong – my children perhaps not quite so enthusiastic thereafter! Thanks for the memories Sarah. 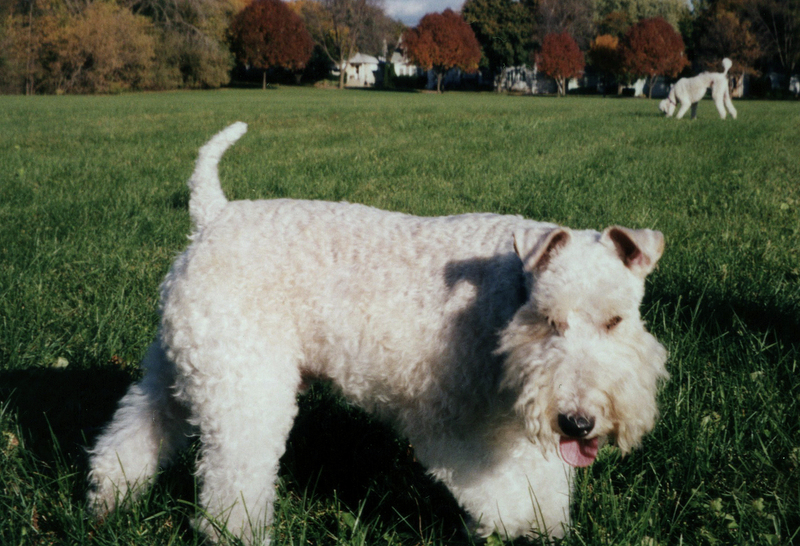 And I loved the picture of Fred, who reminded me of my beloved female Fox terrier, Trixie, my constant companion as a child.